At times, you’ll want to change the menus dynamically. The MenuMod application. which is based on the MenuBMP application, shows how this can be done. The MenuMod application lets you switch the menu items from bitmaps to text and back. 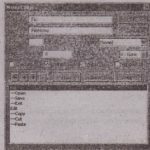 The application has the same menu as the menuBMP application. 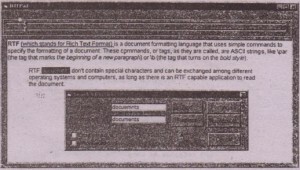 plus third item, whose caption is Display Graphics (when the menu displays text) or Display Text (when the menu displays graphics). 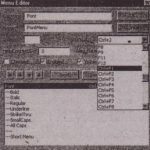 The Click event handler for this me u item calls the DisplayTextMenu() or DisplayBitmapMenu() function to switch the menu between text and graphics. 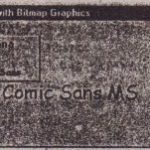 In the Modifymenu() procedure, you use the MP_STRING flag to change the menu item to text, and you use the MF_BlTMAP flag to change the menu item to graphics. The Mouselvlov application (shown in Figure 1’3.5) uses an endless loop to track the mouse, but also releases control to Windows with the DoEvents statement. ‘This allows Windows to process other events such as ending the program when the user clicks the Stop button. Without the DoEvents statement, we would not be able to stop the program. The GetCursorPos() function returns a PointAPI variable, which you can pass to the WindowFromPoint() function_to get the handle of the window under the pointer. Once you’ve obtained the window handle, you can find out the class name of the window with the GetclassName() function, which returns the name of the window’s class. If the name is.SysListView32, the mouse is over the Wmdows Desktop. Otherwise, the mouse is over some other window. 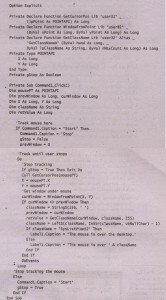 The main portion of the code is the tracking loop. The code gets the current mouse position and uses this information to get the window handle and the class name. The class name is then displayed and updated each time the mouse moves over a new window. 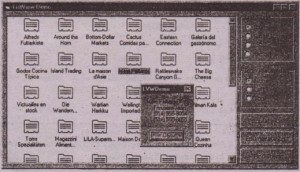 A related project is the previously discussed MousePos project, which you’ll find in this chapter’s folder on the CD. Many controls have a HitTest method whose function is to retrieve an object at a specific pair of coordinates. We used this method in the LVWDemo project in Chapter 8, but now it’s time to look at this method and see how it’s used with the GetCursorPos() function. The HitTest method applies only to a few controls that can act as containers for multiple objects. 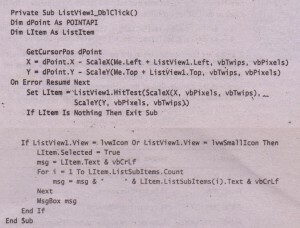 The ListView control, for example, can host many ListItem objects. When the user double-clicks the ListView control, the DblClick event is triggered, but this event doesn’t report where the mouse was clicked. To find out which item was double-clicked, use the GetCursorPos() function to retrieve the pointer’s coordinates and pass them to the control’s HitTest method, which will return a reference to the object at this location. Even though the DbIClick event doesn’t report the double-clicked item, it’s quite common in programming the ListView control to provide cope that reacts to the double-clicking of an item. 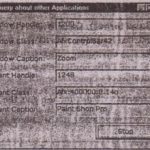 Applications can indirectly detect the double-clicked item with the help of the GetCursorPos() function and the HitTest method. To detect the coordinates of the point where the mouse was double-clicked, follow the steps presented next. 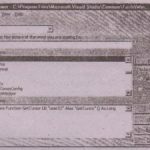 If the mouse double-clicked an empty area of the ListView control rather than an item, the LItem variable will be Nothing. If you attempt to access its properties, a runtime error will be generated. To avoid the runtime error, use the On Error Resume Next statement and examine the value of the LItem variable. Here’s the complete listing of the ListView control’s DblClick event handler. If you open the LVWDemo project, you’ll see that it’s adequately documented. You can reuse this code as is (without the statements that process the LItem variable’s members, of course) in your code to react to the double-click event on a ListView control. Since the coordinates of the point where the object was dropped are known, you can pass them to the HitTest method to find out on which item the source object was dropped. Notice that you need not convert or adjust the coordinates, since the DragDrop event reports them in the control’s internal coordinate system in twips. The hWnd argument is the handle of the window, x and y are the coordinates of the window’s upper-left comer, and ex and cy are the window’s width and height. 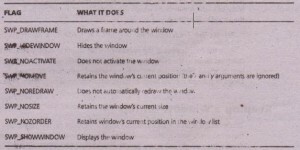 The hWndlnsertAfter argument is the handle of a window, after which the hWnd window is in the window list. It can also be one of the values shown in Table 13.5. Flags argument is an integer that contain one or more of the flags shown in Table 13.6. 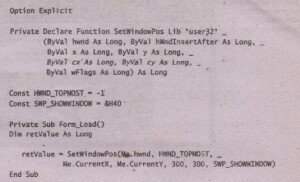 The sample application that demonstrates the SetWindowPos() function is called WinTop, and its, listing is shown next. 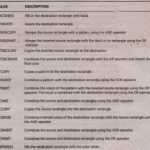 The values 470 and 155,which are hardcoded into the listing, are the dimensions of the Search & Replace window. The BorderStyle property of the Search- Form user also be set to Fixed, so that users can’t resize it. .